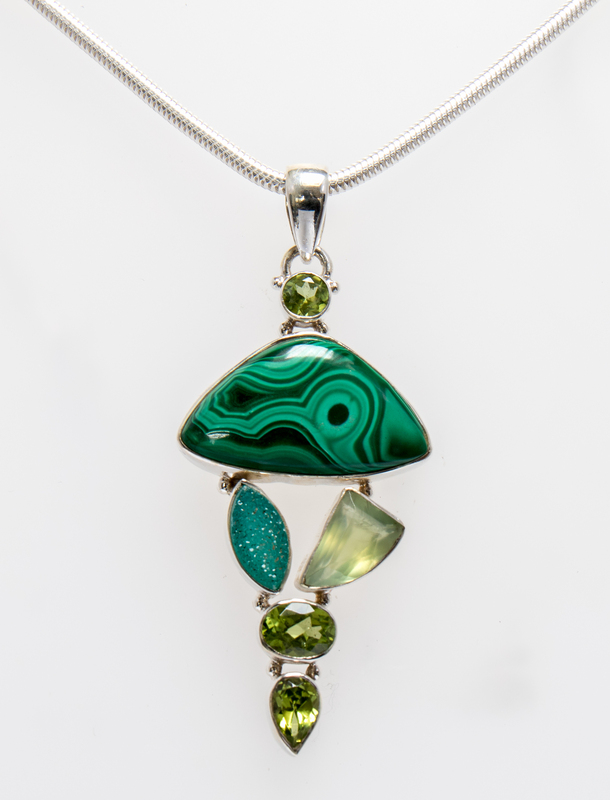 A malachite cabuchon and three faceted peridots are mixed with a green druzy quartz (not natural) and a faceted prehnite in this attractive pendant. All set in sterling silver. Clean jewellery regularly with a silver polishing cloth to prevent the build up of damaging tarnish. Stones can be wiped clean with a damp cloth. Do not immerse in liquid or you may damage or loosen the stones.